Over the last 30 years St Michel has grown to become New Zealand’s leading bathroom furniture brand, supplying the widest range of products through leading plumbing and building outlets around the country. Founded in 1987 by Wally Burns, a pioneer in the New Zealand Bathroom Industry with over 40 years’ experience, we’re still proudly New Zealand and family owned. With Wally’s guidance and leadership the St Michel brand’s reputation was built on inspired design, high manufacturing standards and a commitment to the best possible after-sale customer support. Today, we are the leading manufacturer of furniture in the bathroom category. At our modern production facility in Auckland our team uses its unsurpassed knowledge and skills to ensure everything we produce meets the exacting design and production standards of Wally’s original vision. At St Michel we believe that bathrooms are much more than practical spaces, they’re inner sanctuaries that add value to everyday life. Hettich started as a family owned German company in 1888. It has grown to be one of the worlds largest producers of quality fittings for kitchens, bathrooms and all living spaces in the home. Hettich products help you to make the most of precious storage space with smart ideas to create an organised and efficient home. All Hettich products are at the forefront of design, innovation and manufacture worldwide with a versatile and practical range of products and accessories. Memorable bathrooms and kitchens feature a seamless blend of style and functionality. The Kitchen Hub is focused on the latest trends, sourcing the best kitchen and bathroomware from New Zealand and around the globe. With a commitment to product quality, we deliver chic and practical products that will stand the test of time. No matter the size of your project, we’re here to help. With over 20 years industry experience supplying and installing some of the best products available we can help you find the right products to suit you design needs. As the leading supplier of high quality surfaces in New Zealand, Laminex New Zealand’s portfolio features a range of locally-made and global products for benchtops, cupboards, walls and building products. Laminex New Zealand® delivers expert knowledge on the latest surface solutions from popular and innovative brands including Laminex®, Melteca®, Caesarstone®, Formica® and Strandboard™. Our customer service and national distribution teams go above and beyond to offer exceptional support and meet delivery expectations right across the country. With this global experience and 28 years local knowledge, Häfele continues to bring the world of German innovation for kitchens to New Zealand. We believe beautiful design is only the beginning; it’s what’s inside that counts. We work alongside New Zealand Architects, Designers and Cabinetmakers to provide innovative kitchen fittings, smart storage solutions and functional spaces for your home and office. Häfele continues to set industry standards and will continue as the market leader with our remarkable innovation. Kitchen Things is a 100% New Zealand owned-and-operated network of 20 retail appliance stores. As a kitchen specialist, we offer a complete range of premium appliance brands, including Miele, Smeg, ASKO, Gaggenau, Neff and Bosch, all of which are presented in attractive lifestyle settings in our kitchen showrooms. In addition to our showrooms we have a New Zealand wide network of service providers available to all of our customers. We have extremely knowledgeable, well-trained staff that can help you work out the best solution for your kitchen in all of our nationwide showrooms. Many of our team members have extensive industry and Kitchen Things experience, and we are all passionate about the company and our cooking products. With 25 years in business, Kitchen Things has established a reputation for excellent service, and are proud to be associated with the NKBA of New Zealand. Schneider Electric and its associated brands, PDL and Clipsal, design and manufacture electrical technology and energy management solutions for residential and commercial applications. For the kitchen and bathroom segments we provide an extensive range of switches, sockets and home automation solutions. We are actively changing the perception of light switches and sockets from a basic necessity to an effortless accessory, by going beyond functionality with styles to lift any interior space. Blum’s functional kitchen hardware fascinates with its smooth opening and integrated soft-closing technology. Complemented by its highly ergonomical and practical organisational accessories. All 100% made in Austria. Julius Blum founded Blum over 60 years ago in his hometown of Vorarlberg, Austria. Today Blum is a global leader in lift mechanisms, hinges, drawer and inner dividing systems for kitchens and other living areas, with innovation and high product quality. From its local roots in Austria the family-owned company has grown to employ 7,100 people around the world. It operates seven plants in Vorarlberg as well as production sites in the USA, Brazil and Poland. With 28 subsidiaries and representative offices worldwide, Blum now supplies cabinetry hardware to more than 120 markets. Jacobsen Creative Surfaces is a private, family run business that imports and distributes residential and commercial flooring products. Established in 1962, Jacobsen offers tiles, wood and laminate flooring from our showroom at 41 Morrin Road, Mt Wellington, Auckland as well as carpet, vinyl, and LVT in retailers nationwide through our Studio brand. Jacobsen believe in a philosophy of identifying innovative products, developing strong relationships with both customers and suppliers and going above and beyond to support employees. We pride ourselves on our long-standing reputation amongst architects and designers and within the flooring trade for delivering the best products in terms of quality, design, colour and value. The O’Brien Group has six branches nationwide with a team of around 100 people. Over the company’s 45-year lifetime, it has consciously and continuously invested in new machinery to enhance quality and productivity as well as new innovative products. Today, O’Brien Group’s capability and attention to detail is testament to that investment. The team can produce more than 150 customised laminate jobs daily. Alongside quality and delivery, O’Brien Group is mindful of the trade requirement for hassle-free installation and the client requirement for product longevity. Gaggenau is a renowned as a global luxury brand, offering exclusive culinary culture and sophisticated lifestyle. Inspired by the requirements of leading professionals and top chefs, Gaggenau brings culinary technology to the domestic kitchen. Gaggenau aims to create appliances which possess the same functionality and durability as the professional kitchen does, but are designed for the luxurious domestic environment. With a rich history going back over 333 years, the Gaggenau brand name was not invented; it is in fact named after a small town in the Black Forest, Germany. Years of technology, quality and skill have seen Gaggenau develop appliances that strive to continuously offer the very best. Many architects, designers, chefs and design enthusiasts consider Gaggenau the world’s preeminent design brand of kitchen appliances. Resene has all the quality paint, colour, wallpaper, curtains and professional advice you need to get a superb finish on your decorating projects, including everything you need for kitchens and bathrooms from the walls to cabinetry and kitchen floors. Choose from thousands of colours in the Resene Total Colour System or let Resene create a custom colour match for you. Once you’ve chosen your favourite colour, get it tinted into the extensive range of Resene Environmental Choice approved low VOC paints. See the latest Resene fashion colours and whites and neutrals collection and get friendly and professional advice about how you can use these in your projects. Or if you have a tricky surface or project to paint, get free technical advice on the best paint system to use and how to apply it. Resene has been proudly 100% NZ owned and operated since it started in 1946 and was named New Zealand’s Sustainable Business of the Year 2010 and Most Trusted Paint brand 2012. New Zealand Panels Group is a leading manufacturer of melamine, veneer, acrylic and high-pressure laminate panels under the Prime Panels and Bestwood brands. Prime Panels also offers a quality range of engineered stone benchtops. 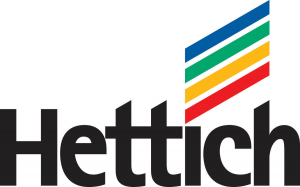 The Dezignatek business provides custom finishing for doors, drawers and panels with a comprehensive range of Thermoform options and an extensive laser edging selection for melamine, acrylic and a range of Soft-Matt HPL. The company has grown rapidly to number more than 200 people across the country, but fiercely adheres to a small company DNA and a culture established by the founding partners. It’s about caring deeply what our clients want and need, being flexible and agile, and not hampered by big company bureaucracy. All our Specification Managers are accredited Greenstar professionals and we operate from a sophisticated new Greenstar *4 manufacturing plant and showroom in East Tamaki. Hideaway Bins are designed and made in New Zealand by Kitchen King Ltd. The Hideaway product range have built a strong local and international reputation for the quality and innovation of their hidden storage solutions. Our focus on innovation, collaborating with kitchen manufacturers and designers, is the reason why we have been market leaders in waste solutions since 2006. With an industry leading design and manufacturing process, the team at Hideaway Bins continue to produce creative solutions for both residential and commercial storage, waste and recycling requirements. Hideaway Bins is proud to sponsor the NKBA, supporting the New Zealand kitchen industry and celebrating kiwi design. With the involvement of its customers and partners, this leading company imagines and anticipates design solutions that offer value and inspiration to people’s lives. This goal is made possible by pioneering brands that are leaders in their respective segments such as Silestone®, Dekton®, Sensa by Cosentino®. Technologically advanced surfaces which allow create unique spaces and designs for the home and public spaces. The Cosentino Group currently distributes its products and brands in more than 80 countries, from its headquarters in Almeria (Spain). Formerly known as Evolution of Surfaces, APT brings the best global Architectural Products and Technologies to New Zealand and the Pacific Islands. Brands include Corian® Solid Surfaces, iB Rubinetti® tapware, Fenix NTM® surfaces and ATIM hardware. NEFF understands that cooking inspires people, and it’s these people who inspire them. “The heart of the kitchen isn’t the cooker, it’s the people.” This is the philosophy on which Carl Andreas founded his company in 1877 in Bretten, Germany. The range of NEFF products has all been designed by people who are passionate about food and love spending time in the kitchen, where the experience of cooking is just as important as the end result. It is passion that led to innovations that many of us now wouldn’t know how to live without. Back in 1950 it was NEFF developers who were the first to make thermostats standard equipment in ovens. Just seven years later, NEFF introduced the first microwave oven in Europe. More recently, the iconic Slide&Hide disappearing door, the NeffLight and the tactile TwistPad Fire magnetic cooktop control dial, have provided serious features that are indispensable to cooks all over the world. NEFF is constantley researching new ways to improve the quality and sustainability of their appliances, keeping the NEFF brand at the forefront of kitchen technology, as well as proud manufacturing and engineering heritage. Artisan Stone is a South Island owned and operated business, tracing our roots back to Trethewey monumental stonemasonry in the 1920’s. Redefined in 2008 and fortified by experience and reputation, we strive toward international best practice, using a fusion of technology and traditional craftsmanship. Carefully selecting the finest Granite, Marble and Quartz material and suppliers, we specialise in Kitchen Bench Tops, Bathroom Vanities, Fire Surrounds and Commercial work and specialise in customised designer projects. With a dedicated client services team we are committed to partnering with our customers to ensure the stone piece is fabricated precisely to expectations. Parex Industries Limited has been servicing New Zealand customers since 1966. They specialise in kitchen appliances and pride themselves on sourcing the best products in their respective categories and backing their customers with exceptional service. Parex have represented InSinkErator in New Zealand for over 30 years and has built a very strong reputation as a leading supplier of household Food Waste Disposers and Instant Hot Water Taps. As well as representing InSinkErator, Parex also represents Schweigen Home Appliances, a brand well known for their aesthetically pleasing silent rangehoods. Parex have recently refocused their position amongst designers and look forward to working alongside the NKBA to create new relationships and network with New Zealand’s well known and up and coming designers. “At your service for 70 years”. 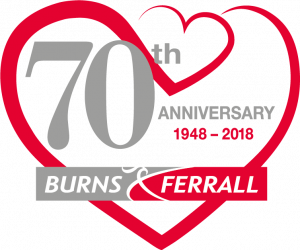 From humble beginnings in 1948 to an iconic commercial and domestic kitchen company, Burns & Ferrall have established a reputation for customer service excellence and product support that is second to none. From cooking equipment, bakery, clean up, a huge range of food service and kitchenware items, Burns & Ferrall are the true one stop shop for hospitality, food service and bakery operators. In New Zealand and the Pacific Islands, Burns & Ferrall provide the world’s most respected brands to hotels, restaurants, bars, food retailers and institutional organisations.